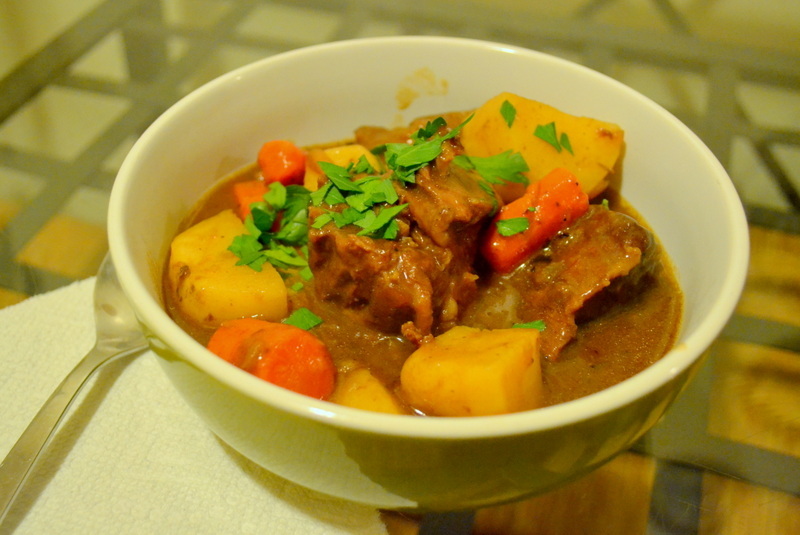 Cook’s Country is currently airing an episode featuring Guinness Beef Stew. Unlike most stews, this recipe skips the searing of the meat on the stove-top, because it takes too long and causes a lot of splattered grease everywhere. Instead, this stew is cooked uncovered in the oven; the open pot allows the meat on top to brown, and the evaporating liquid helps concentrate the flavors. 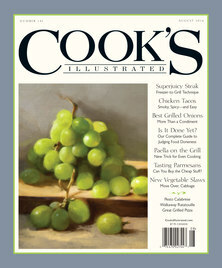 Chris Kimball says that the stew will be ready after just 2-1/2 hours in the oven. I ate mine after 3 hours (due to scheduling conflict), but 3-1/2 hours would have been much better. As eaten, it was only 3-1/2 stars. The flavors were nicely balanced, but were a little too subdued. More browning in the oven would have added more flavor. If I had a little more time (or started a little earlier), I’m sure it would have been 4-to-4-1/2 stars. Cooking times were understated. I adjusted the cooking times upward from 2-1/2 hours to 3 hours below, but consider cooking for 3-1/2 hours. Start time 2:00 PM. Finish time 6:00 PM. Set a rack to lower-middle of your oven and pre-heat to 325-degrees. Pull roast apart at seams, trim away any excess or hard fat, and cut into 1-1/2″ pieces. Sprinkle beef cubes with salt and pepper. finely chop onions. Add 3 tablespoons vegetable oil in Dutch oven placed over medium-high burner. Saute onions for 10 minutes until well-browned. Add tomato paste and use a garlic press to press the garlic directly into pan. Cook for 2 minutes until the mixture turns rust-colored. Add 1/4 cup flour and continue to cook for 1 minute. Use a whisk to incorporate chicken broth, 3/4-cup (1/2 bottle or 6 ounces) Guinness, brown sugar, and minced thyme, then use the liquid to de-glaze the fond. Bring the mixture up to a simmer, then simmer for 3 minutes. Add beef cubes and bring back up to a simmer. Leaving simmering Dutch oven uncovered, put into the pre-heated oven and cook for 2 hours at 325-degrees, stirring after 45 minutes. Meanwhile wash and peel carrots, and cut into 1″ segments. Wash the potatoes, but leave the potatoes unpeeled; cut them into 1″ pieces. After the 2 hours has elapsed, mix in potatoes and carrots. Continue to cook for 1 more hour, until the beef and vegetables become tender; stirring after 30 minutes. 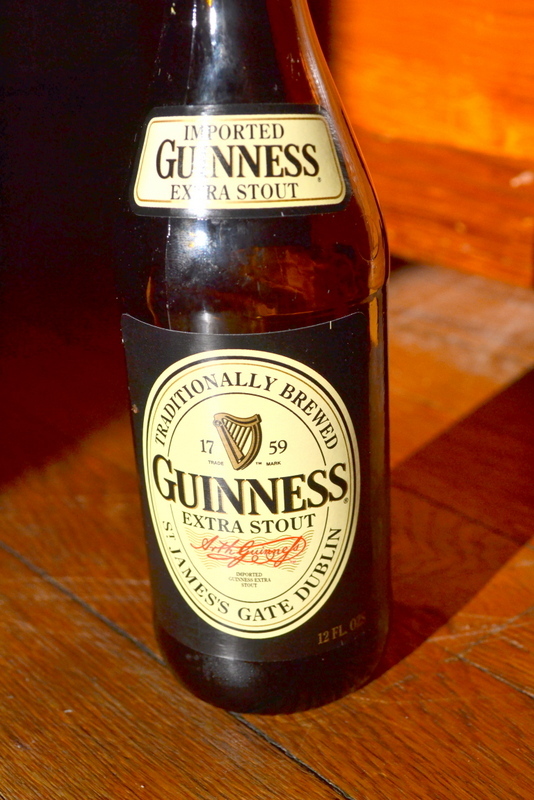 Add remaining 1/2-cup Guinness and minced parsley. Adjust salt and pepper according to your taste, and serve. You are currently browsing the My Year Cooking with Chris Kimball blog archives for the day Saturday, November 9th, 2013.